Postach.io has a lot limitations. You can fix almost all of them. 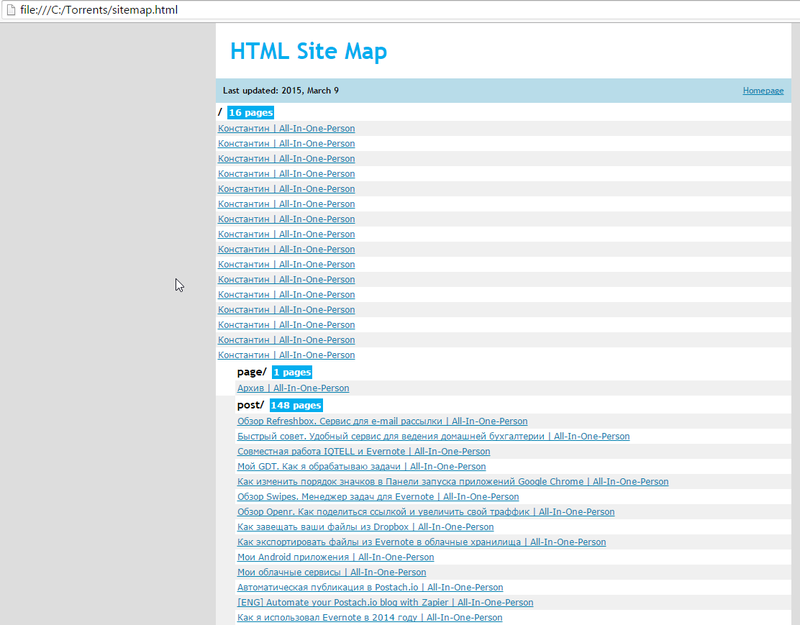 Today I'm going to explain hot to create Archive page just like this one. If you have only 5-10 posts or just created your blog skip this article here. It's easier to do next step manually for you. First, you need to get all your current links and post names. 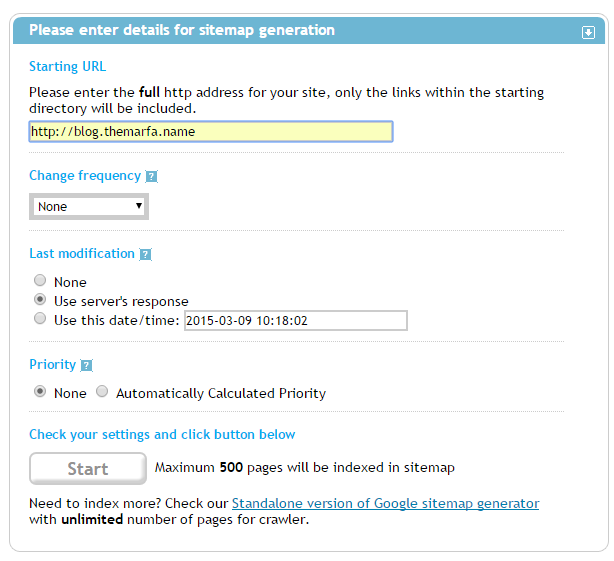 You can do it really fast with XML-Sitemap.com service. 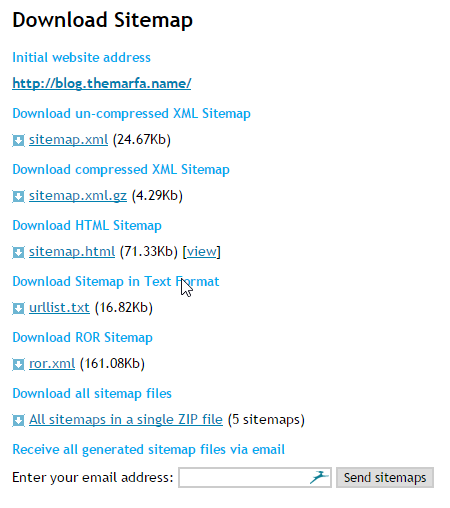 You need to download sitemap.html and urllist.txt. Just leave all lines with "post" in URL. Don't change order of lines. On this step you should have two text documents. One with links, and another with headers. You shouldn't change order of lines. You can create it by yourself or use my template. 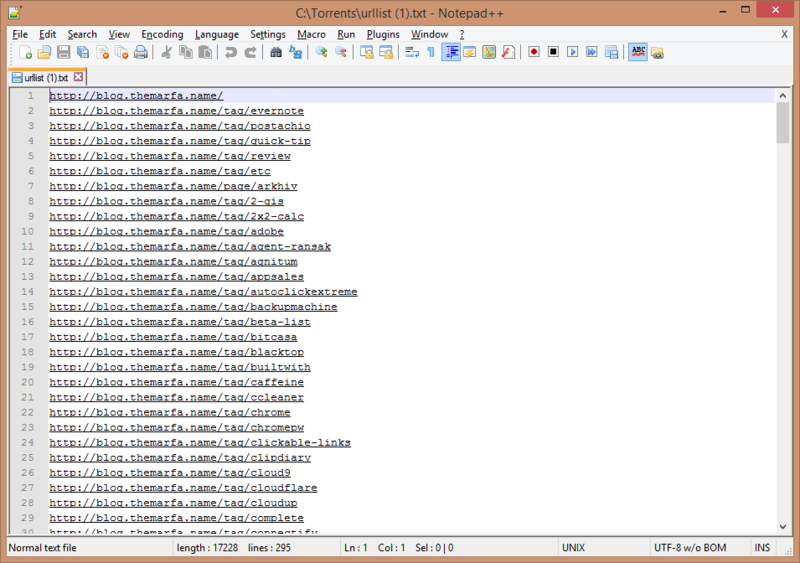 In the E column phrase :target="_blank" is optional. It allows to open links in new tab. in the Result column I have function that joins all cells into one. 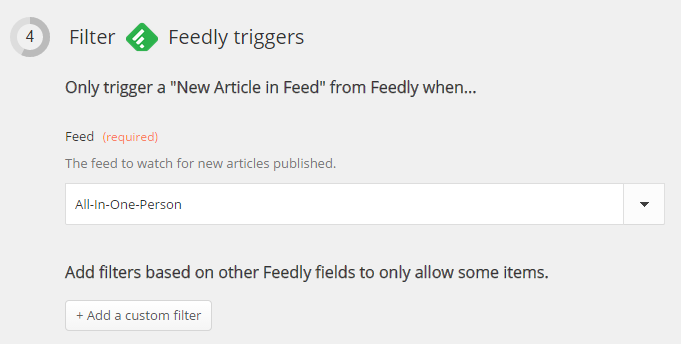 In the Result column you have all links with headers for your archive page. 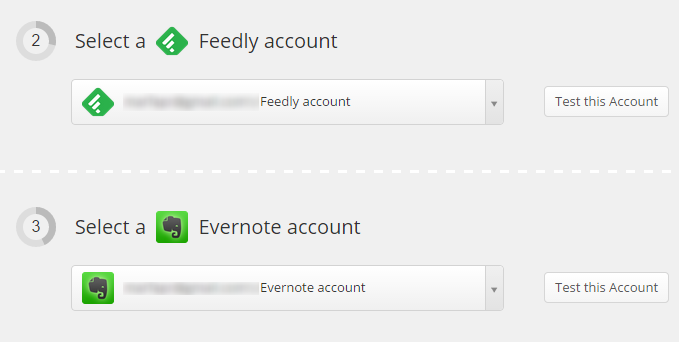 Just paste it to Evernote. 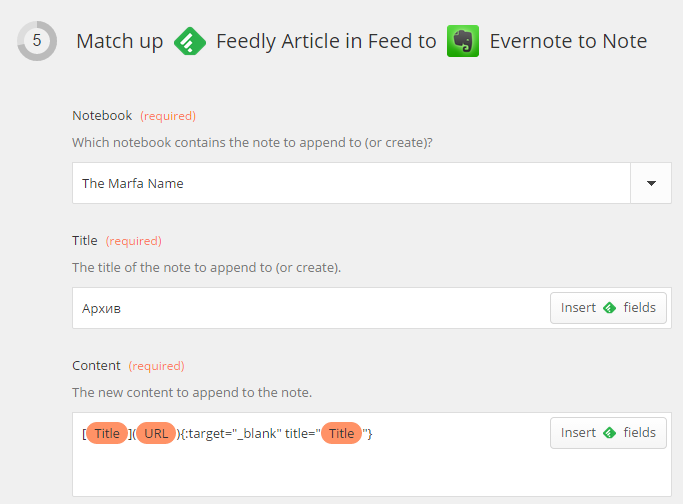 To create Archive page create Note in Evernote notebook and add this tags: published, markdown, page. 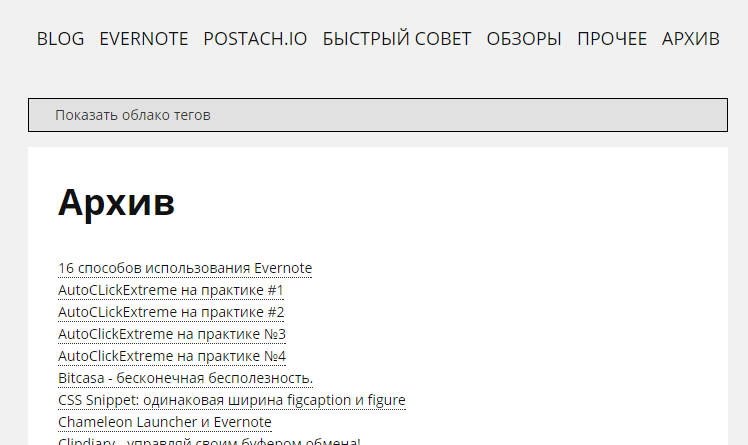 Published - shows that you Note is published. 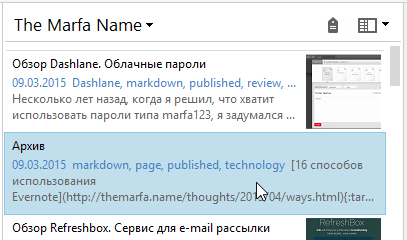 Markdown - shows that you use Markdown. Page - shows that this Note is a page, not post. 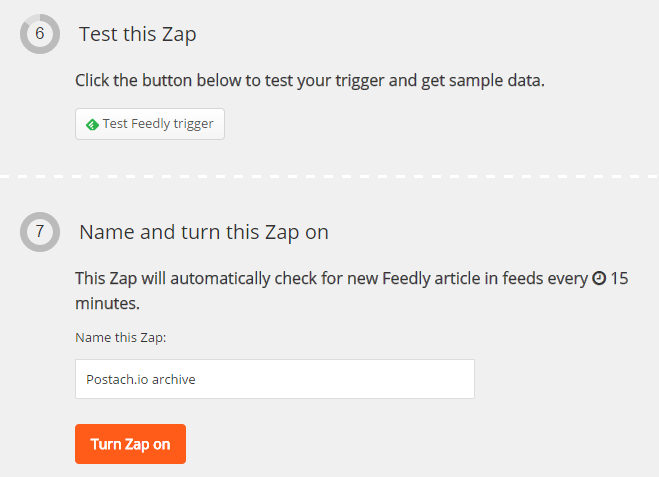 To update your archive with your latest post you can use your hands or Zapier service. After this steps you will have Archive page with auto-renewal.